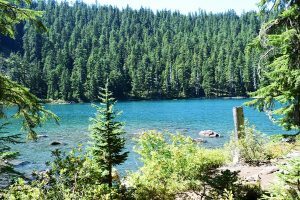 A 70-mile drive from downtown Portland, Pristine Buck Lake sits at 4,080’, hidden perfectly between the stunning Mount Hood National Forest. If you are on the lookout for the perfect afternoon swim destination, then Buck Lake is the place for you! Easily accessible from Portland, the lake’s parking area is along a single lane long winding Forest Road. From the parking area, the quiet alpine lake is a half mile long easy hike. Among the main reasons for the maintained seclusion, tranquility and pristine nature of this gem, is that it is only accessible by foot. 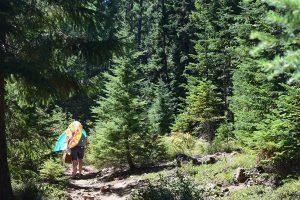 The hike will take you through beautiful stands of old fir trees while you are serenaded by a chorus of willow flycatchers and croaking frogs. The gorgeous stream-fed swimming hole, with its spectacular emerald waters, is a sight to behold. The placid surface of the pristine clear natural lake affords the waders with the opportunity to appreciate the sight of the rocks and logs forming the bedrock. If a luck sways in your direction, you may even be able to catch a glimpse of fish swimming towards the bottom of the lake. Furthermore, there are also campsites available for those desiring an overnight stay. The best perch of the day is offered alongside the trail which takes off towards the rocky section to the left. If a walk alongside the trail is not your idea of fun, take a raft and head towards the middle of the lake to attain the absolute most beautifully stunning view of the entire lake. 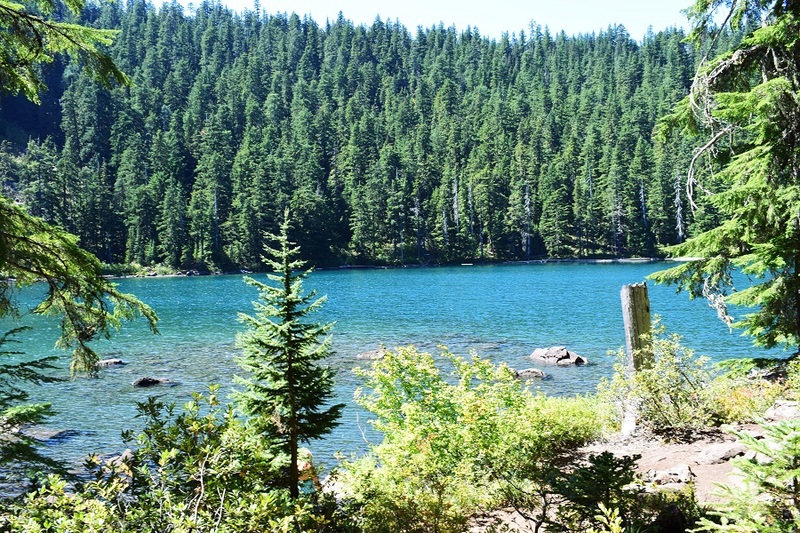 If your idea of an ideal destination involves plentiful scenic beauty, then Buck Lake at Mount Hood is the place to be! 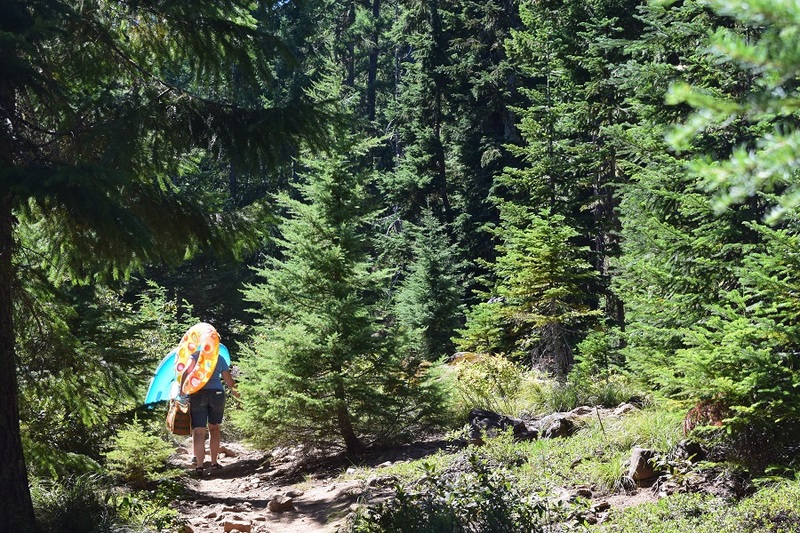 Turn left onto Forest Road 210 (Buck Lake Road) and drive 0.5 miles to the trailhead on the left.